With 2015 in full swing we’ve been working hard to bring you some new events at the cafe. On the 14th of March we will be hosting our first Crafternoon! Spaces are going so fast that we’ll need another date! Check the event out here Crafternoon! Neil has been a volunteer at SLATE for the last 2 years and thanks to the team at the White Rose Land Securities is now on a 6 week work placement which will hopefully lead to a 16hour paid position. 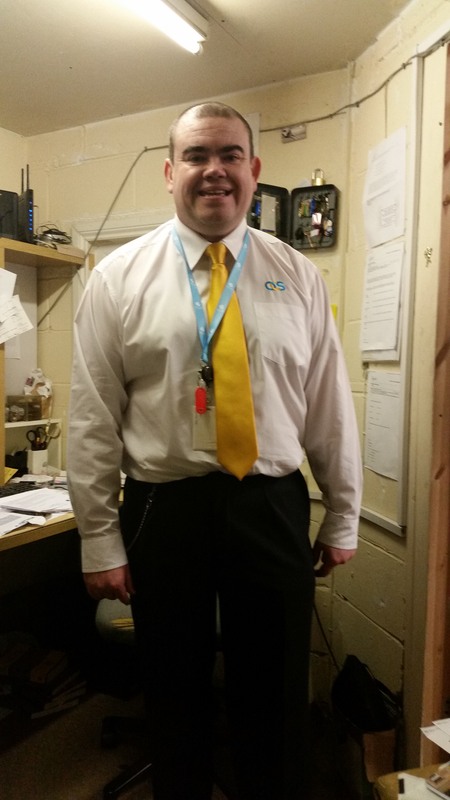 Here he is in his new uniform… We are all very proud of him. Happy New Year to all our valued customers. Both the Feel Good Furniture Shop and the Feel Good Cafe have now reopened for business and look forward to seeing you in 2015.